Global warming, the rise of middle class economies worldwide and overpopulation have converged to make our planet unstable and unsustainable – in other words, hot, flat and crowded. That’s the message foreign affairs columnist Thomas L. Friedman brought to a capacity crowd at Mershon Auditorium during the awarding of the 2008 Fisher Prize on Sept. 24. Friedman is a three-time Pulitzer Prize-winning journalist for the New York Times and author of the international best-seller, The World is Flat: A Brief History of the 21st Century. He was selected to receive the honor from Ohio State’s Max M. Fisher College of Business because of his thought-provoking analysis of global issues. 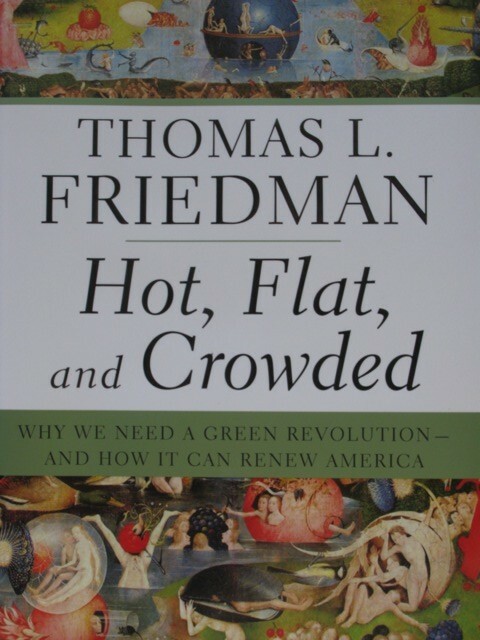 Friedman’s address focused on the green movement in the U.S. and abroad, the topic of his recent book, Hot, Flat, and Crowded: Why We Need a Green Revolution – and How It Can Renew America. Through a strategy he calls geo-greenism, Friedman believes a revival of American ingenuity could not only save the planet from global warming and the depletion of bio-diversity, but also bring about a healthier, more productive and secure country. He cited the need for a technology revolution embracing renewable energy sources based on clean power and efficiency, which in turn would create jobs in a whole new sector. Furthermore, Friedman said, lessening dependency on foreign oil would end the country’s reliance on petrodictatorships, his term for dictatorial governments supported solely for their oil supplies. Battelle employee Brian Soppelsa found the talk both enlightening and frightening. “I think it’s important that Friedman is getting his message out,” said Soppelsa, who sees his own children’s future at risk. Incorporating capitalism into the solution to global warming and energy dependency also resonated with Sharon Alvarez, associate professor of management & human resources in the Fisher College. While she wished Friedman had taken a more bi-partisan approach in his talk, Alvarez agreed that government is no longer working for the people. “I don’t see innovation resulting from a government mandate,” said Alvarez. The Fisher Prize honors the achievements of both the recipient and the late Max M. Fisher, a philanthropist and businessperson. Previous recipients of the award include Gerald Ford, George H.W. Bush and former Soviet Union President Mikhail Gorbachev.